After the US Women won the World Cup last week, this greatly changes the list of women who have won both an Olympic title and a World Cup title in football. This is almost a purely American list, with 4 Norwegians on the list from the 1995 World Cup and 2000 Olympics (Gro Espeseth, Bente Nordby, Marianne Pettersen, Hege Riise). Below is the list of the American women who have won both titles, and the number of times. 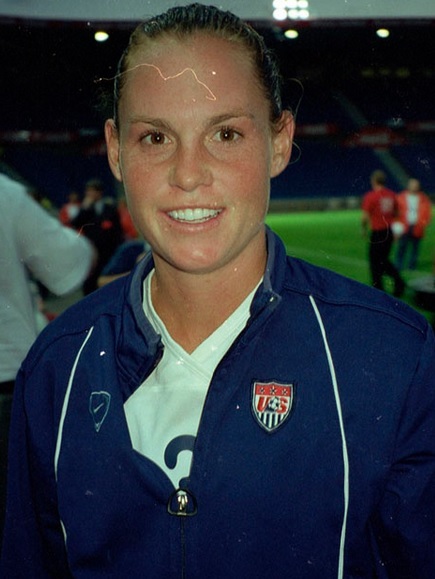 The leader with 5 such championships is Christie Pearce-Rampone, with three Olympic gold medals (2004/08/12) and two World Cups (1999/2015). Seven American women have four titles – Heather O’Reilly, Shannon Boxx, Brandi Chastain, Joy Biefeld-Fawcett, Julie Foudy, Kristine Lilly, and Mia Hamm. One could also add Hope Solo to this list, but this reflects one of the difficulties of compiling such a list. In 2004 Solo was on the Olympic team, but never played as a backup goaltender. Likewise, Tiffany Roberts was on the 2004 Olympic team but never played. Only Heather Mitts has three such titles without winning both, as an Olympic gold medalist in 2004/08/12. 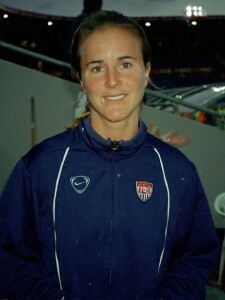 Five Americans have won two Olympic gold medals, without winning the World Cup – Aly Wagner, Angela Hucles, Kate Sobrero-Markgraf, Lindsay Tarpley (2004/08), and Rachel Buehler (2008/12).